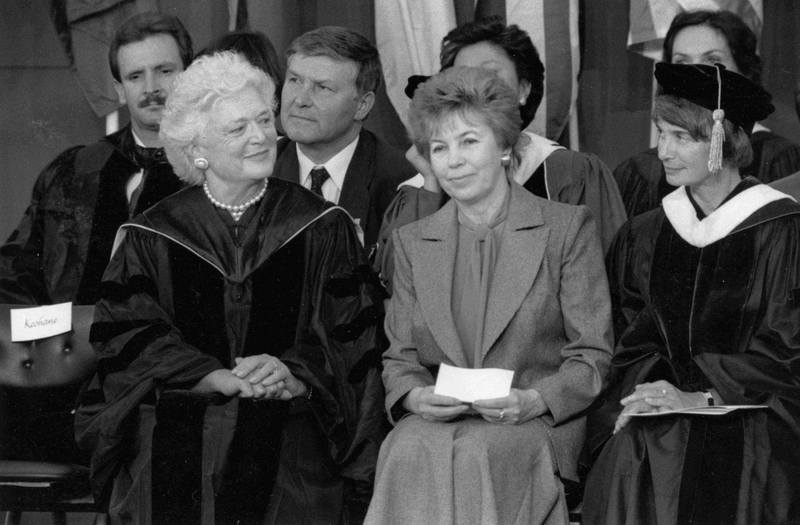 On a sunny, sweltering first day of June, 25 years ago, First Lady Barbara Bush called me her “new best friend.” It was an amazing day full of pride, sisterhood, and joy—but it was also the culmination of a contentious spring. 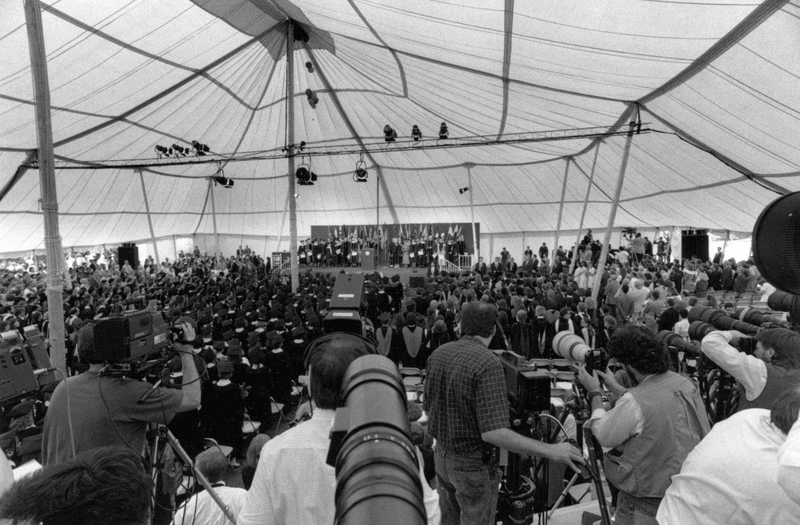 While it feels like ancient history now, my class graduated amid a swirl of media attention that began when two of my classmates issued a protest against the selection of the first lady to be our commencement speaker. Even though she was our class’s selected second choice (our first choice, the author Alice Walker, withdrew for personal reasons), there were concerns that Mrs. Bush’s status in the world was related to whom she had married, rather than to her own accomplishments. 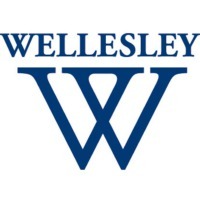 Since Wellesley has long educated women whose intellect, courage, and drive leads them to achieve much in the way of nontraditional success, this protest seemed to many of us like an understandable part of the conversations we were having all the time. 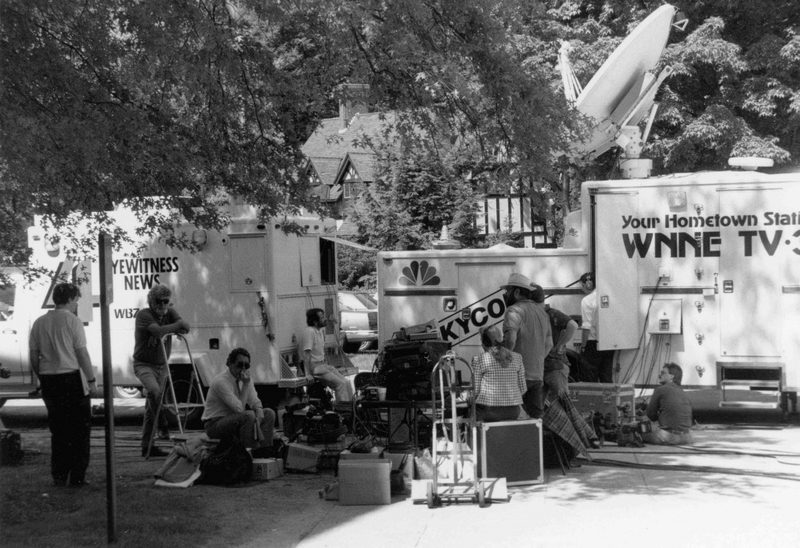 But when word of our concerns got to the press, the firestorm began. 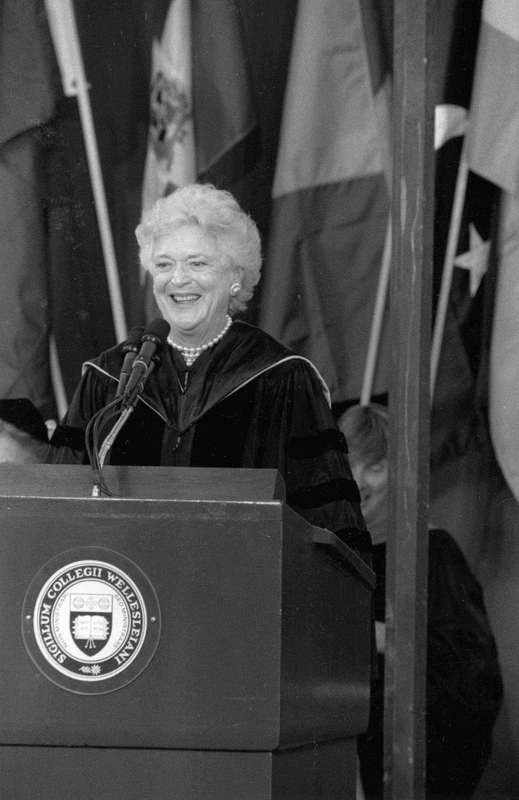 First Lady Barbara Bush delivers her commencement address. 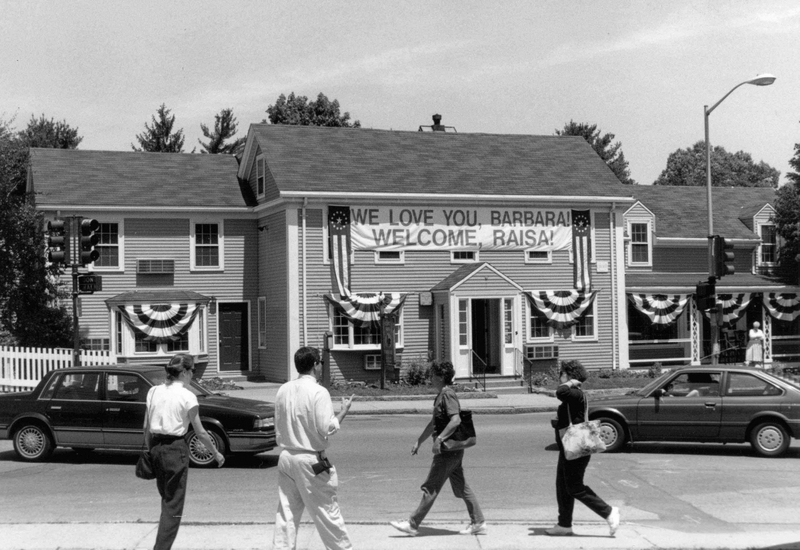 Signs in the Vil welcome Barbara Bush and Raisa Gorbachev. My strongest memories of the emotions I felt that spring will resonate with any young person who has butted up against the status quo: the fury at pundits like Boston Globe columnist Mike Barnicle, who called us a “pack of whining, unshaven feminists,” and the editorial cartoons who labeled us spoiled brats. The shame when I realized how many alumnae thought we were displaying bad manners. 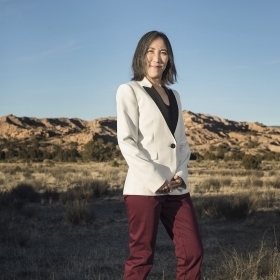 The confusion at finding that other people were not living in the same mental and emotional space as I was, that not everyone spent the bulk of their time pondering gender issues. The camaraderie I felt with my classmates as we came together to defend each other’s right to speak our truth—even when we disagreed with one another. Quite apart from the protest, I was selected as the student commencement speaker—an honor I still cherish. Since I would be sharing the dais with Mrs. Bush, it was important to me that she understand a little more about where I was coming from. 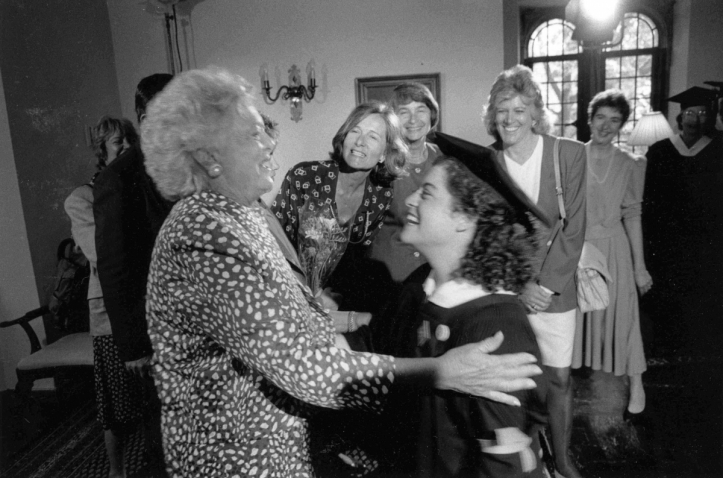 I wrote to her, and my letter prompted her to call me at my dorm—a call that, I am told, caused a frantic “All House, All House—if Chris Bicknell is anywhere in the dorm BARBARA BUSH is on the phone!” I was not there, but returned to a message inviting me to call her at the White House. We had a lovely conversation and she thanked me for my letter, which she said had really cleared the air. Twenty-five years later, our class remains close—a closeness resulting in part from the intensity of our senior spring. We come back in record numbers for our reunions. And while we have lived our way into the answers to some of the questions we had then—What will give my life meaning? Can I satisfy my desire for career advancement and get married and have a family? 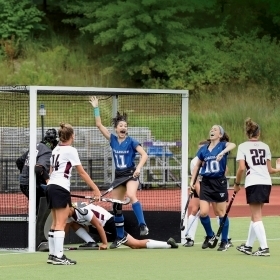 How will my Wellesley experience translate into the rest of my life?—many of them persist. I am still fond of commencement addresses; when done well, they encapsulate important truths presented as a sort of talisman to young people about to head into an uncertain world. That spring, the class of 1990 learned what happens when you criticize certain notions of womanhood: The backlash is fast and it is furious. What I found important then, and now, is that President Keohane, and even Mrs. Bush, spoke to us in echoes of our own voices, validating our right to ask the questions and seek the answers in our own lives. Chris Bicknell Marden ’90 lives in Sidney, Maine, where she works in the Office of Donor Relations at Colby College and is the mother of two children. 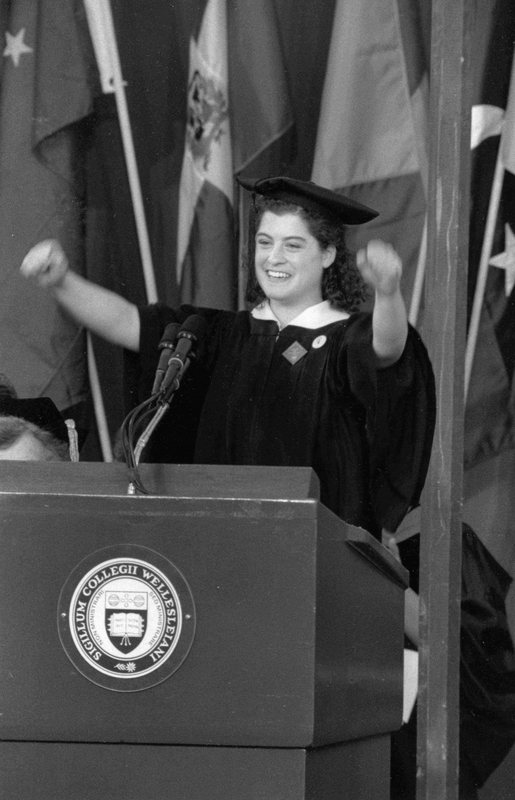 Dear Chris, thank you & Wellesley Magazine for this mauve-alous reflection on Commencement 1990! It is such a wonderful reminder of how grace and direct connection turned what could have been a mean-spirited external dialogue into a rich, important, and even humorous exchange. Thanks to you and Mrs. Bush for the vital roles you played in making it so! (And, who knew that such amazing photos of this day existed? It's great to see you and your BFF immortalized in print!). Thank you for a very fine article. I was working for the Resources Office at the time, and I remember so well that the telephone rang off the wall. Alumnae called in, all exercised about the issue. The trick was to find out what exactly they were exercised about, as we could never tell from the initial few words which way they felt. And I, too, agree that the media and the College handled it very well. 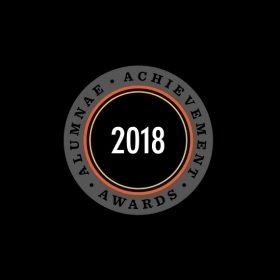 I was proud to be an alum!